Posted March 29, 2019 by argus & filed under Sales. 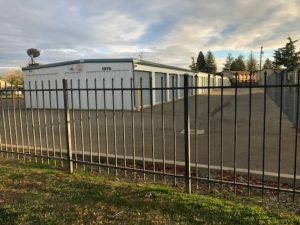 Jim Rueter of Grand Ave. Realty, is pleased to announce the sale of Beale/Yuba College Self Storage. The transaction closed on March 22nd, 2019. The self-storage facility sits on 1.79 acres near Yuba College and Beale Air Force Base in Marysville, CA. The property currently has 49 units with the expansion potential for up to 238 units. Ten RV parking spaces are available in addition to the existing storage units. The buyer took advantage of seller financing in the transaction. Jim Rueter is the Argus Broker Affiliate for Northern California. He can be reached at 805-815-8105. Based in Denver, Colorado, the Argus Self Storage Sales Network (ASSSN) was formed in 1994 to assist owners and investors of self-storage with their real estate needs. Through the years, Argus has assembled a network of real estate brokers experienced in self-storage and income property investments. Now the largest self-storage brokerage network in the United States, the ASSSN has 36 Broker Affiliates covering nearly 40 markets. These brokers are able to meet the needs of self storage investors and owners whether it is acting as a buyer’s agent or listing and marketing a property. For more information call 1-800-55-STORE or visit www.argus-selfstorage.com.